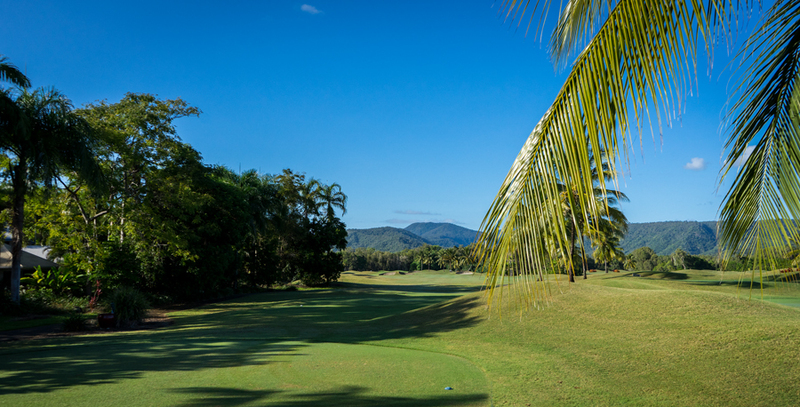 After the beautiful stop on Rarotonga and two weeks without any wifi and golf except from the round at fancy Rarotonga GC we arrived on the tropical north of Australia in Port Douglas at the Paradise Links Resort in our apartment. From this lovely place we were able to do all the great activities which the tropical north offers. 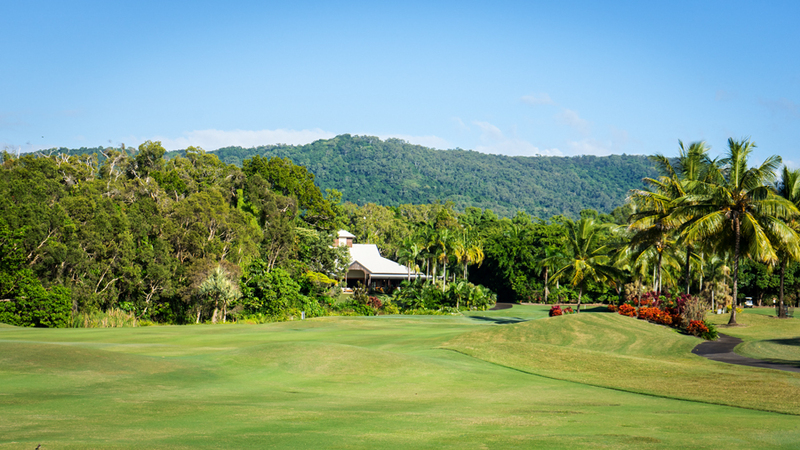 You can visit two world heritage listed places the Great Barrier Reef and the Daintree Rainforest with its amazing wildlife like the cassowary bird or the spotted-tailed quoll. 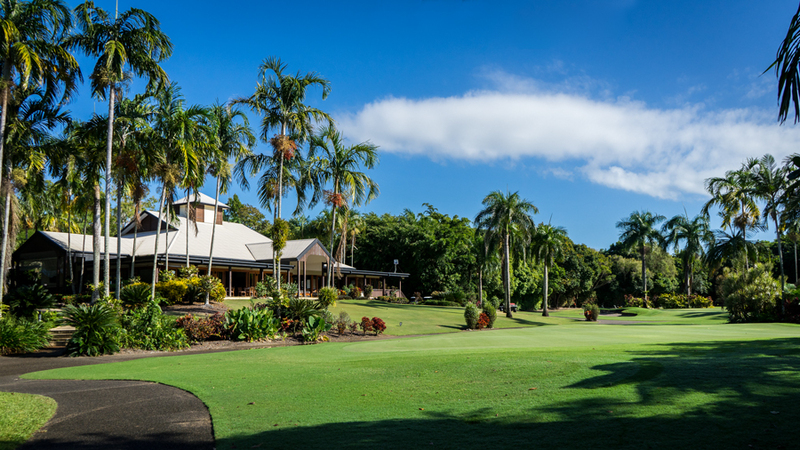 The Paradise Links Resort is also just next to the exotic Palmer Sea Reef Golf Course which is beside to the overwhelming part of Australia a nice place to spend your time. I was attracted by this course because the people call it the tropical links course. This fact made me really curious so I got a tee time for 9 holes just for the next day in the afternoon. 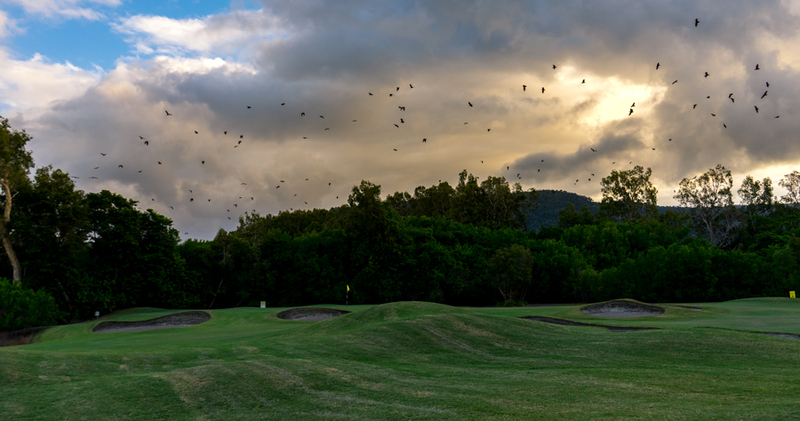 So to let a little bit of golf run back true my vanes I hit a bucket on the range, which is a unusual interesting fact because many courses in this area don´t provide one. 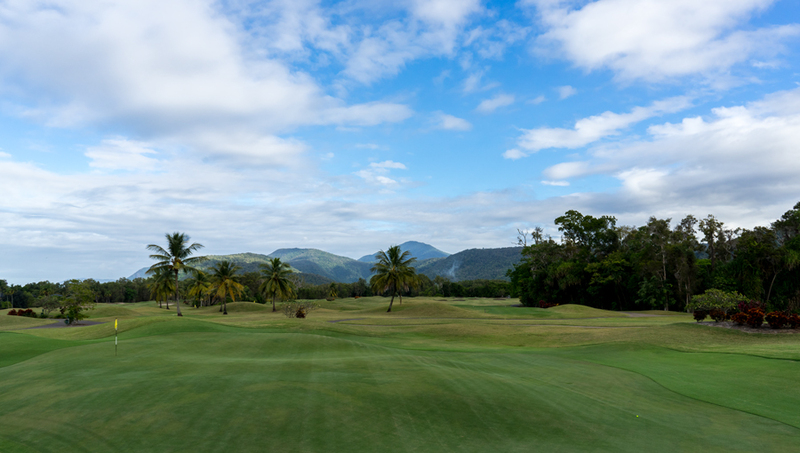 The first tee is a gentle dogleg to the right with 529m from the championships tees. I gave it a go and ended up really badly in one of the typical round links course design bunkers which are well placed all over the course. Trust me you won´t get in there. Surprisingly I have been lucky and good on my first nine holes and took them well out of the play. 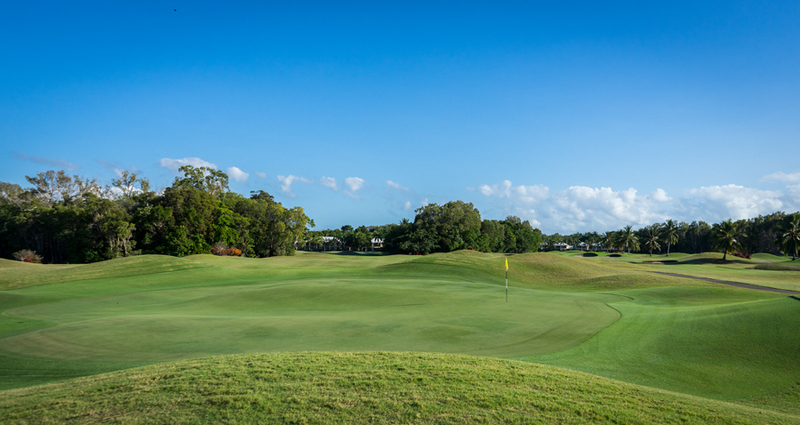 There are also very links like huge elephant back look alike greens. If you don´t hit them on the right spot, good night. 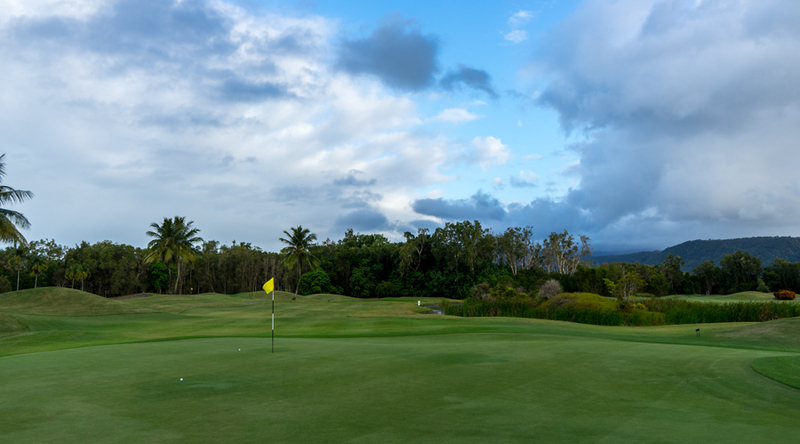 The greens were in awesome conditions. In general the course was pretty good in shape. But the highlight starts while the sun sets. The incredible wildlife comes alive with all its noise. 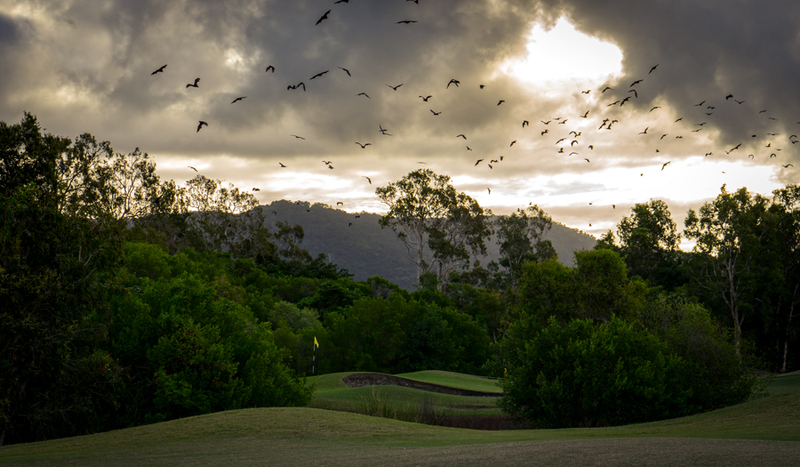 Hundreds of bats fly over the ponds hunting for insects. This is really a mystical and breathtaking moment. It´s hard to concentrate. One of my favorite holes on the front nine was No.9. 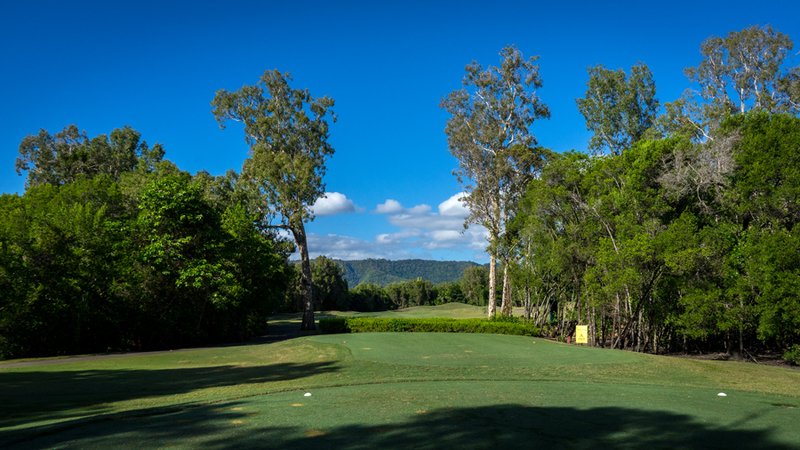 A short par 4 with just 300m form the championship tees. Don’t be foolish and underestimate this beast. On the right water with crocodiles inside and on the left rainforest. The driver makes no sense because of all the bunkers which are all around the landing zone. I hit a 4 iron. Well, it was a little bit to far right but I still got the option to go for the green. My second was a mess. Left to the hole so I had to chip it on the green. No chance to hit it close from my angle. 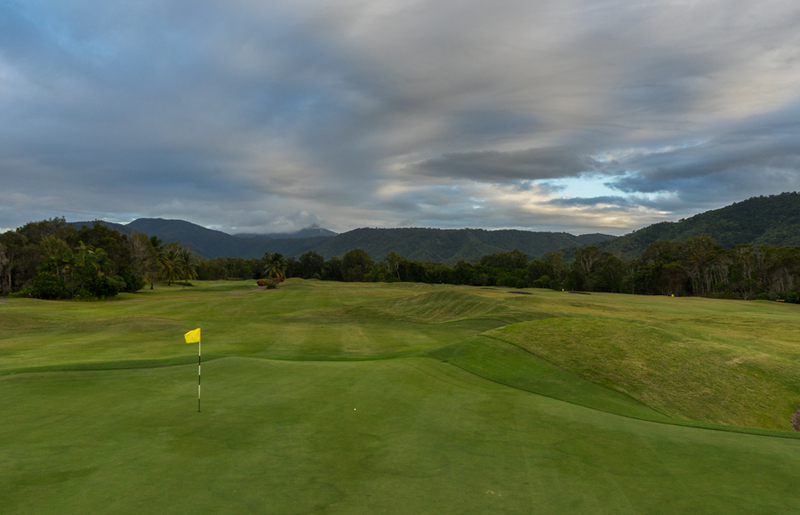 The result of the fast and challenging greens were a double bogey at the end of the day. So after this I walked to the nice clubhouse and booked my tee time for the next morning for the back nine. 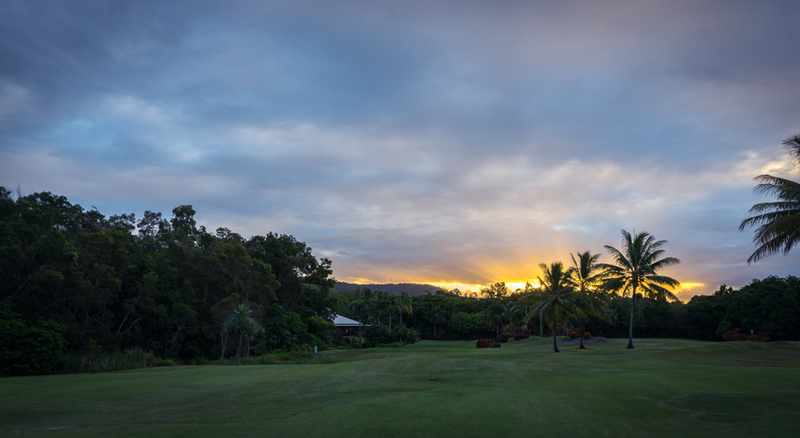 My accommodation at Paradise Links Resort is perfectly located next to the course which made it easy for me to play the first round of the day. 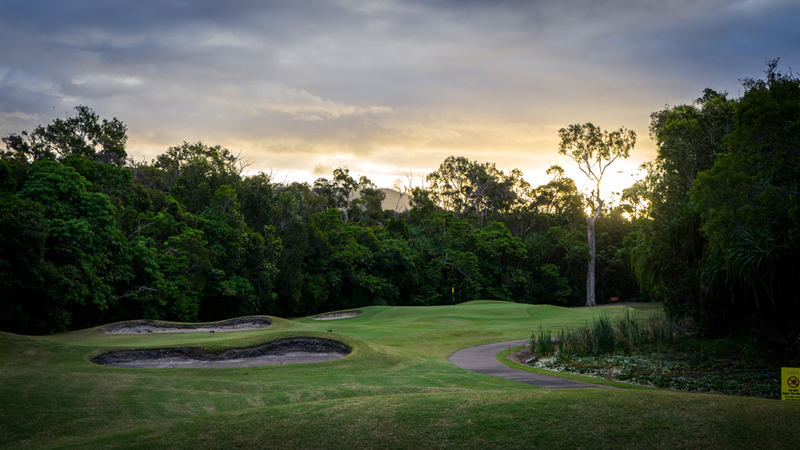 The second nine require like the front nine a high demand of good course management. 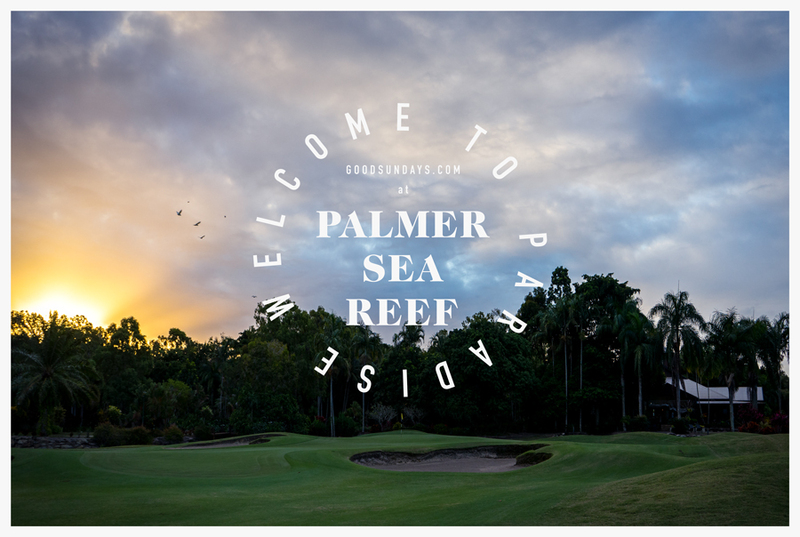 Palmers Sea Reef offers various drivable lakes, bunkers and rainforest. Especially the holes No.12, No.14 and No.18 which are all some kind of my favorite holes. But I totally fall in love with No.18. What a significant monster. 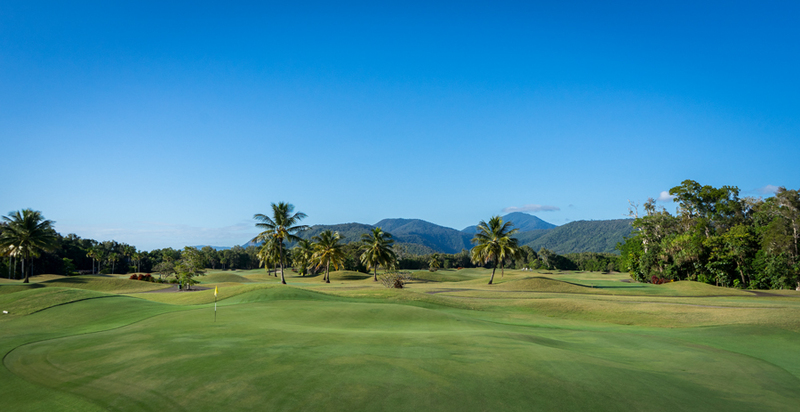 To play this hole par you really need to play it smart and with accuracy. Not like me! I hit my tee shot short right and ended up in the rough. Trust me the rough at Palmers Sea Reef isn’t exactly the best place for your ball. But I hit a nice rescue shot back into the fairway and left myself almost 165m to the green. I tried my best but ended up 15m to short because of strong wind. Again a horrible pitch and two putts for a finishing bogey on the quick greens. 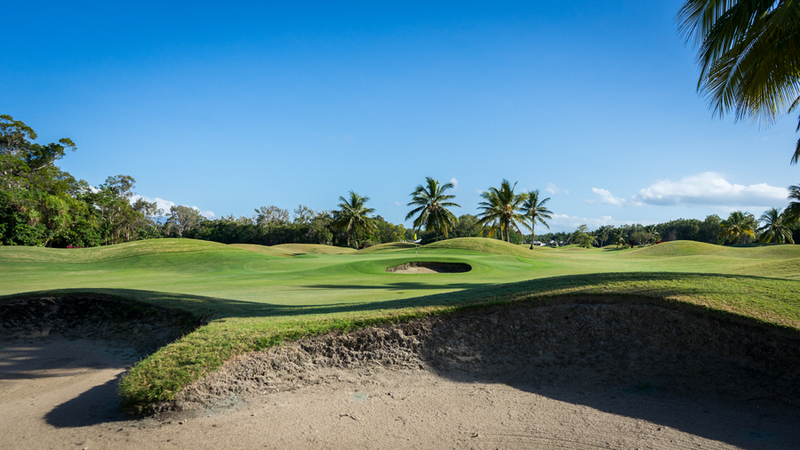 In summary Palmers Sea Reef offers a good variety of holes and length throughout the course. 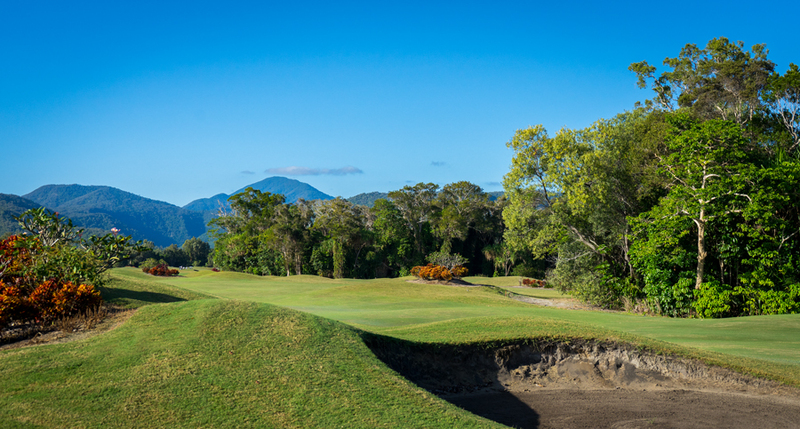 Many par 4 require two solid hits to reach the greens and the par 5 offer interesting options for the long hitters. 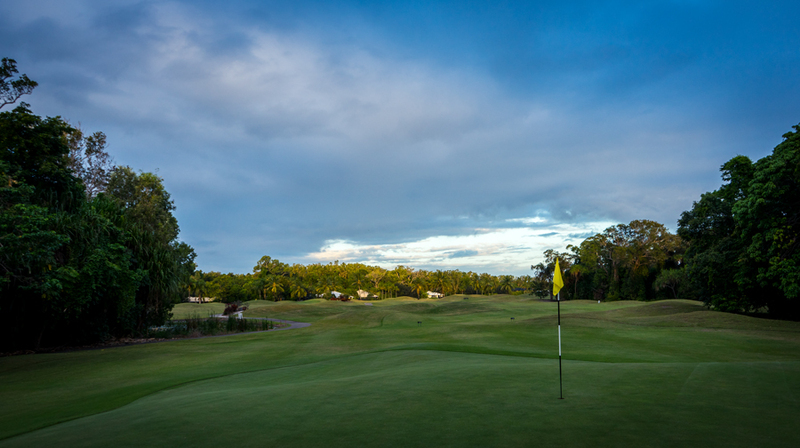 All par 3 are solid and good to play. 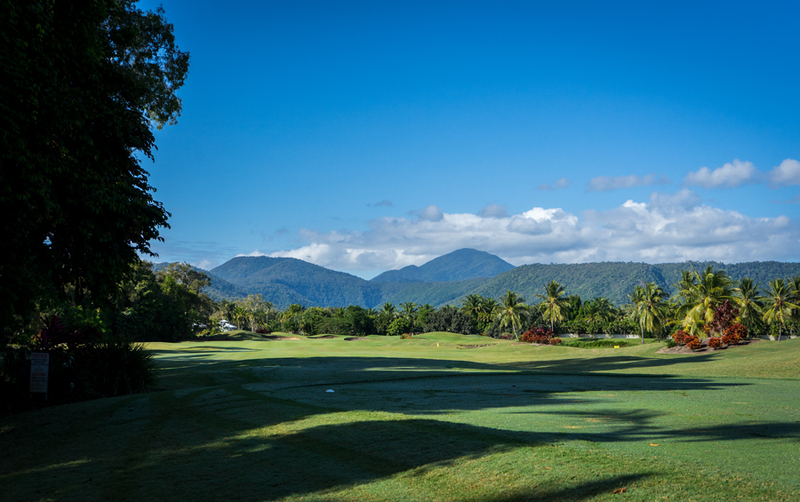 All in all a really great opportunity for a round of golf when you´re around Port Douglas.